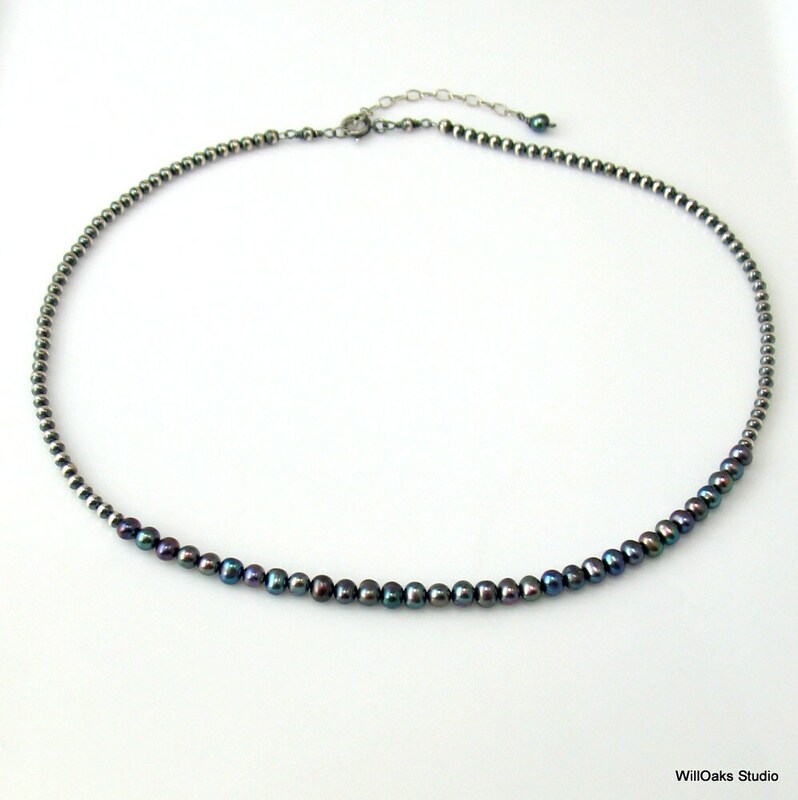 Artisan original pearl and sterling choker necklace features dark peacock finished freshwater pearls. 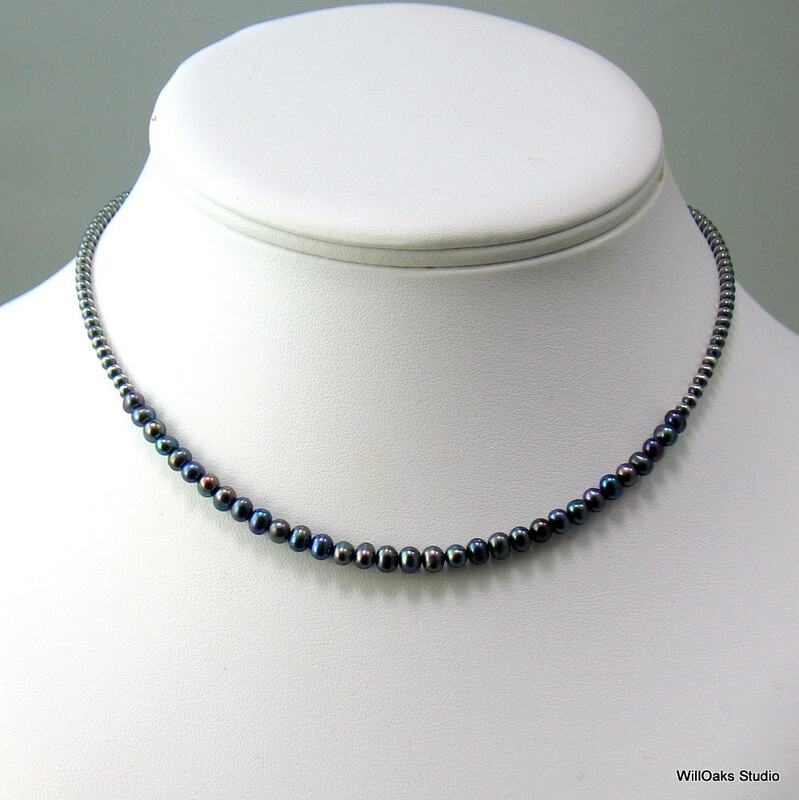 Over 5" of 4mm "potato shaped" pearls are centered in the front of a hand made, hand oxidized sterling silver beaded chain that's selectively buffed to create a unique pattern of dark and light. 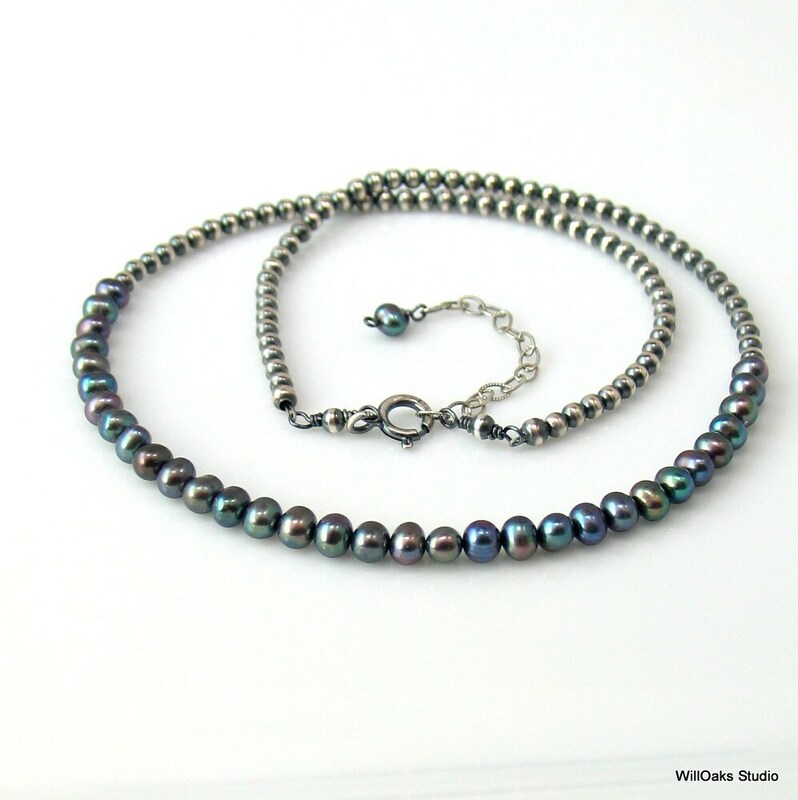 Adjusts from 16 1/2" to 18 1/2" with a sterling spring clasp and sterling extension chain. A final pearl dangles from the end of the extender. 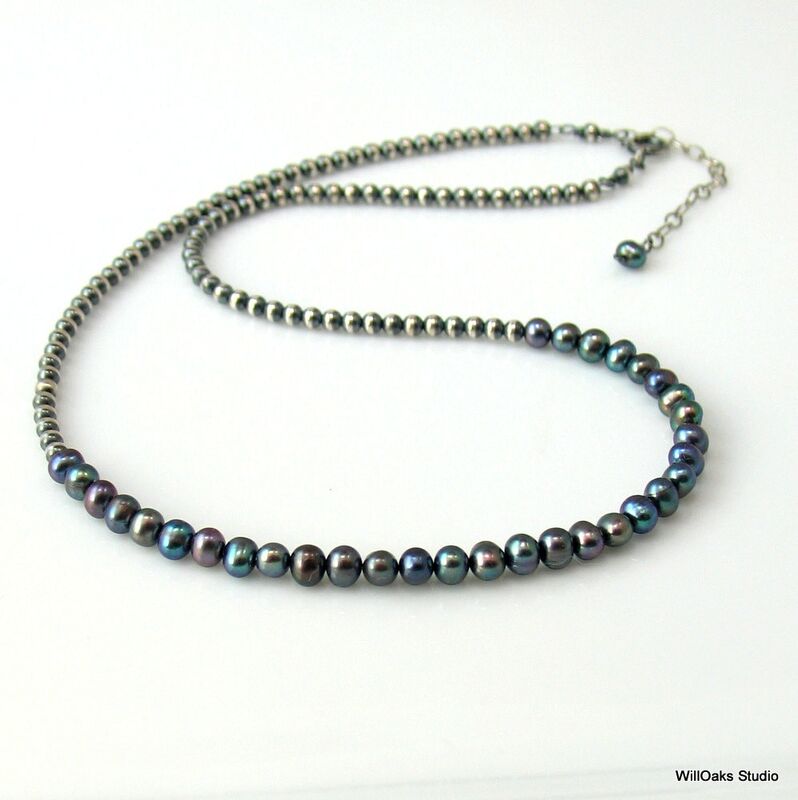 Perfect for June birthdays, to layer with other pearls and necklaces, and very demure and comfortable to wear alone. The perfect accessory to cross seasons and neutral enough to go with almost everything, from jeans to business wear. 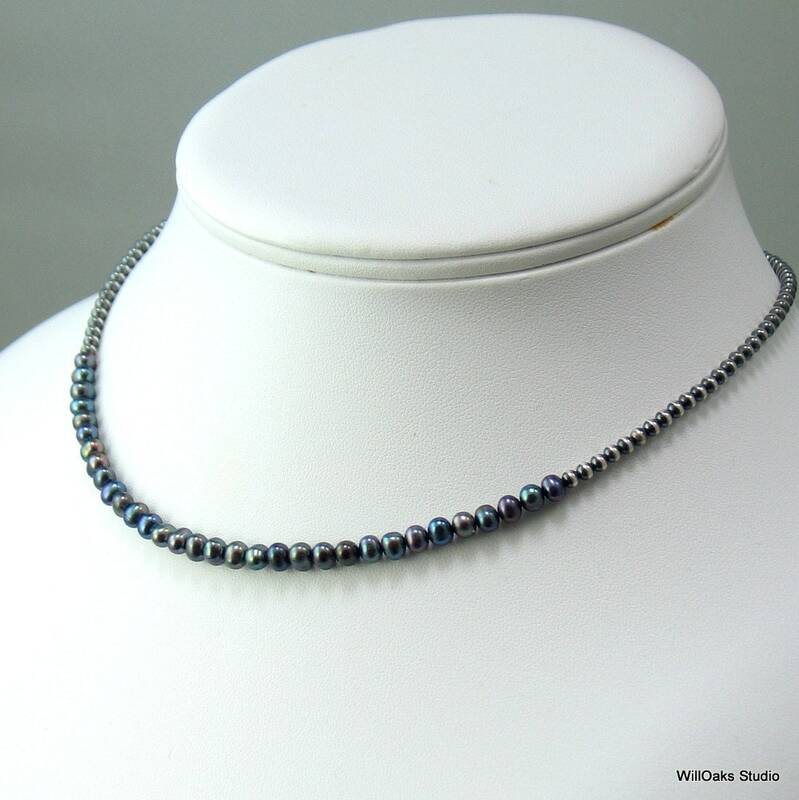 This is the latest addition to my ongoing "Special Chain" series that offers a wide variety of different focal points, all flanked with the beautiful sterling silver beaded chain. Pearls measure about 4 mm each, and the sterling beads are about 3 mm each. A limited edition. All WillOaks Studio necklaces are carefully packaged in a decorative, cotton filled box, all ready to give or to keep. A very nice necklace customized to my requirements - smooth transaction with a very helpful & kind seller. Beautiful necklace. Thanks so much!